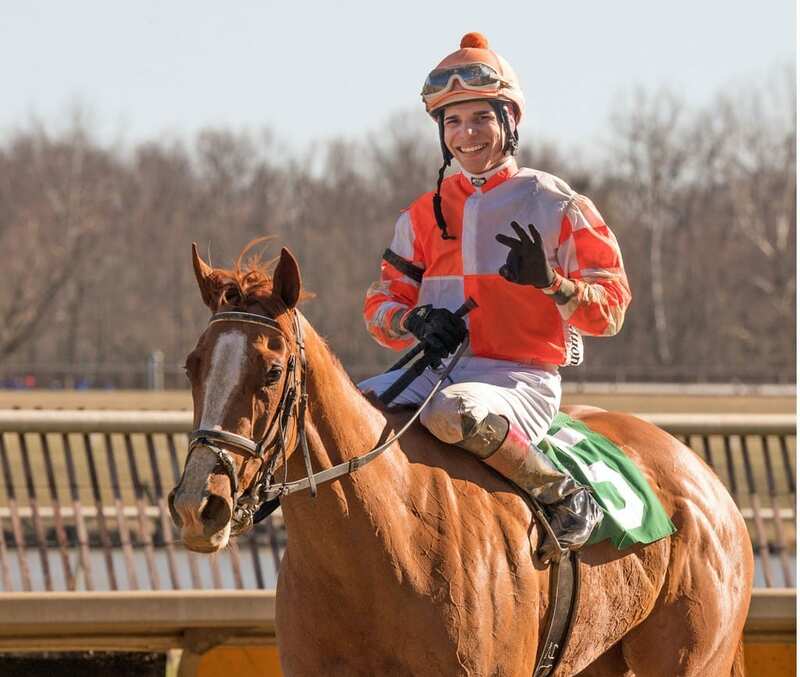 Owned by KRA Stud Farm and trained by Ben Colebrook, Knicks Go was the richest Maryland-bred runner of 2018 in a year in which he captured the Claiborne Breeders’ Futurity-G1 at Keeneland, a Win & You’re In race for the $2 million Sentient Jet Breeders’ Cup Juvenile-G1. In the Breeders’ Cup, the colt took the lead heading into the Churchill Downs stretch and gave way late to finish second to Eclipse Award winner Game Winner. 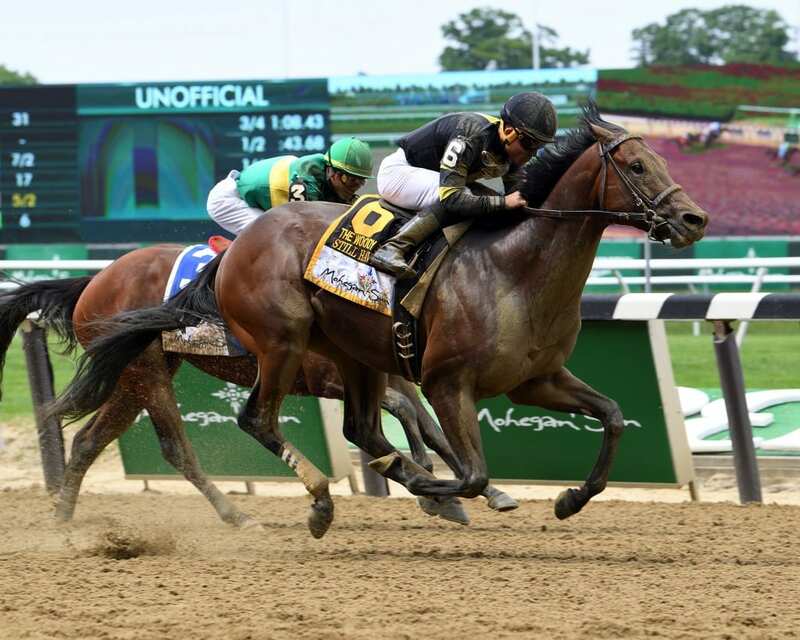 Also counting a third in the Arlington-Washington Futurity among his six starts, Knicks Go earned $672,515. 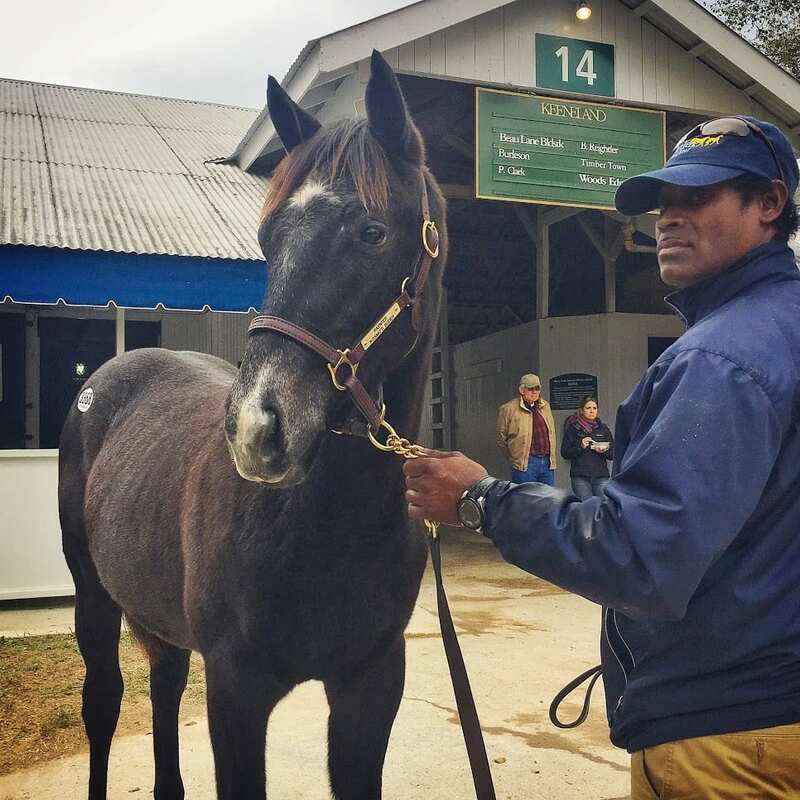 Knicks Go was sold as a weanling at Keeneland for $40,000 by breeder Angie Moore, who owns and operates GreenMount Farm in Glyndon, Md., with her daughter Sabrina. The Korea Racing Authority purchased the gray/roan colt the following year at Keeneland for $87,000. 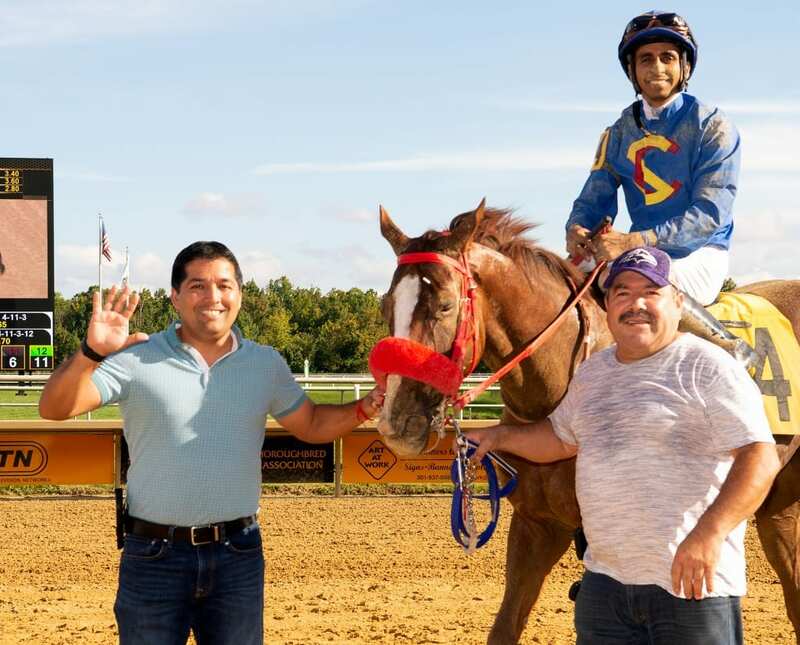 The son of Paynter is out of Maryland-bred Kosmo’s Buddy, a five-time winner who defeated older males as a 3-year-old in the 2008 Maryland Million Turf Sprint Handicap, as well as scoring in that season’s Crank It Up Stakes going short on the turf at Monmouth Park. With an additional 12 stakes placings, the gray daughter of Outflanker earned $298,095 in 37 starts. 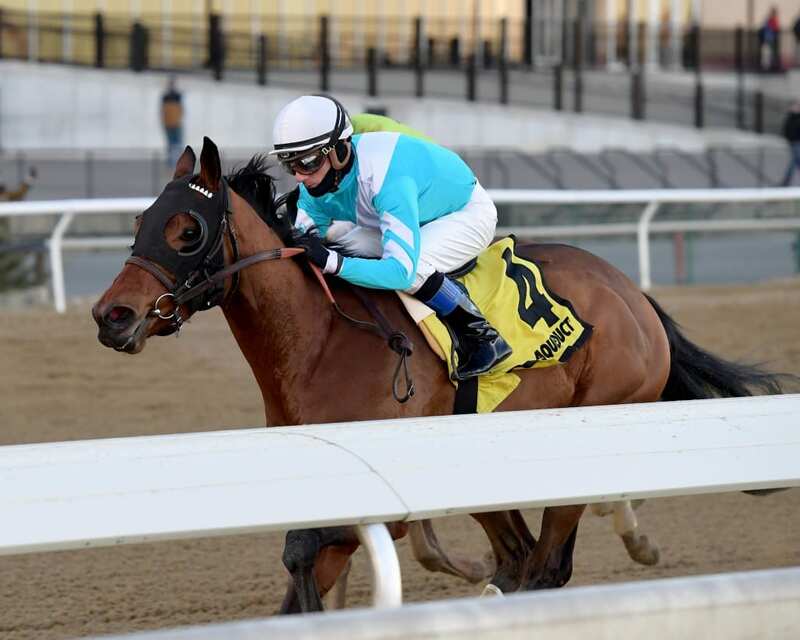 Knicks Go is her third winner, and first stakes winner, from four foals of racing age. Also presented during the Renaissance Awards were the annual breeder, stallion and broodmare of the year awards. 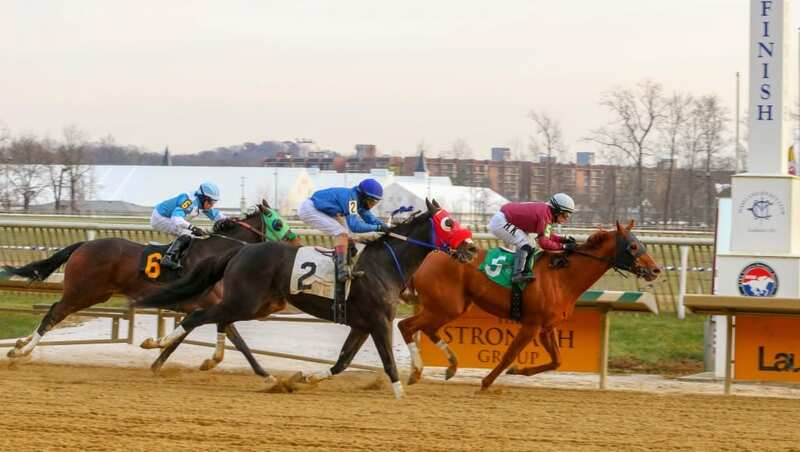 Sycamore Hall Thoroughbreds (Richard L. Golden) was named breeder of the year; Northview Stallion Station’s Great Notion earned his third consecutive stallion title, and Charles and Cynthia McGinnes’ Casual Kiss, the dam of 2018 Maryland-bred champion 3-year-old male and champion sprinter Still Having Fun, was honored as broodmare. Champion 2-year-old filly: Brucia La Terra (b.f., 2016, by El Padrino—Happy Refrain, by Not For Love). Bred by Sallyellen M. Hurst and Hugh H. Hurst; owned by William M. Ferrone; trained by Barclay Tagg. Champion 3-year-old male and champion sprinter: Still Having Fun (b.c., 2015, by Old Fashioned—Casual Kiss, by Dehere). Bred by Mr. and Mrs. Charles McGinnes and Tim Keefe; owned by Gary Barber, Wachtel Stable and Terp Racing LLC; trained by Timothy L. Keefe. Champion 3-year-old filly: Blamed (b.f., 2015, by Blame—Salsa Star, by Giant’s Causeway). Bred by Sagamore Farm; owned by Cleber J. Massey; trained by Joel Marr and William I. Mott. Champion older male: Laki (ch.g., 2013, by Cuba—Truthful Dutch, by Swear by Dixie). Bred by Tom Michaels and Lorna Baker; owned by Hillside Equestrian Meadows; trained by Damon R. Dilodovico. Champion older female and champion turf runner: I’m Betty G (b.m., 2014, by Into Mischief—Lady in Ermine, by Honour and Glory). Bred by Carol Kaye and Boyce Stable; owned by Three Diamonds Farm; trained by Michael J. Maker. Champion steeplechaser: Dawn Wall (b.m., 2013, by Not For Love—Guelph, by Sky Classic). Bred by Mary Voss; owned by The Fields Stable; trained by Elizabeth Voss. Voting for this year’s divisional champions were Mid-Atlantic Thoroughbred editors Joe Clancy and Cindy Deubler and senior writers Sean Clancy and Tom Law, Maryland Jockey Club vice president of racing development Georganne Hale, racing secretary Chris Merz, stakes coordinator Coleman Blind, track announcer Dave Rodman, racing analysts Tim Tullock and Ty Ehlis, Bill Brasaemle and Keith Feustle of Equibase, THAracing.com managing editor Tom LaMarra, freelance writers Andy Beyer, Ted Black, Maggie Kimmitt, Vinnie Perrone, John Scheinman and Dan Tordjman, WBAL NewsRadio reporter Scott Wykoff and photographer Lydia Williams.